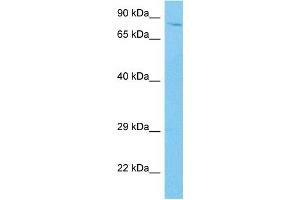 Characteristics This is a rabbit polyclonal antibody against HCFC2. It was validated on Western Blot. Background This gene encodes one of two proteins which interact with VP16, a herpes simplex virus protein that initiates virus infection. Both the encoded protein and the original Herpes host cell factor interact with VP16 through a beta-propeller domain. The original Herpes host cell factor, however, is effective at initiating viral infection while the encoded protein is not. Transcripts of varying length due to alternative polyadenylation signals have been described.